"Mariam was an excellent agent for us. She was very personable and friendly. She was not pushy at all and cared a great deal about our needs, preferences, and constraints. She was very helpful throughout the process (i.e., house hunting, screening, and closing) and made it a very pleasant experience for us. We highly recommend her." 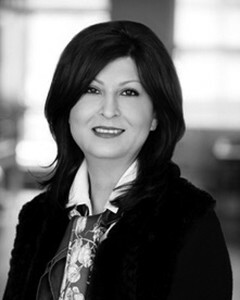 "Mariam is highly organized, responsive and knowledgeable broker. She managed the listing with outmost care , integrity and got us a renter at full price. Recommend her highly ." "Mariam's professional service extended to my family since start of searching , selection, purchase contract, finish selections, walk-through inspection and finally the closing process of our first home in USA was truly amazing and deeply appreciated. She is the best!" "Mariam is an awesome real estate agent! She is very professional, knowledgeable and friendly to work with. She has done a great job with finding exactly what I was looking for. I highly recommend Mariam Moeinzadeh to anyone!" "Mariam was great! She had relevant information to help us through our buying process and was on top of things!"